The VE Ham test session that was scheduled to happen on Saturday August 26th at 10 a.m. at the Great Northwest public library, off of Grissom Road, has been canceled due to Hurricane Harvey. The library itself will be closed, thus preventing the test session from being conducted. Please contact Pat Knight AD5BR at hamtest@gmail.com for any additional information. This annual event is always the first Friday / Saturday of December each year. Ham Operators, operating from their local National Weather Service Offices around the country, are trying to contact as many other NWS offices as possible during a 24 hour period that runs from 6pm CDT Friday until 6pm CDT Saturday. Modes used include VHF/UHF,HF, Internet Enhanced (EchoLink, and IRLP) and various digital modes..
Access is limited at the local NWS office due to space constraints and the fact that the meteorologists are actively working in the same room, so the noise level and disruption factor is a concern. Operators are scheduled to work in groups of no more than 3 in multiples of 2 hour shifts! 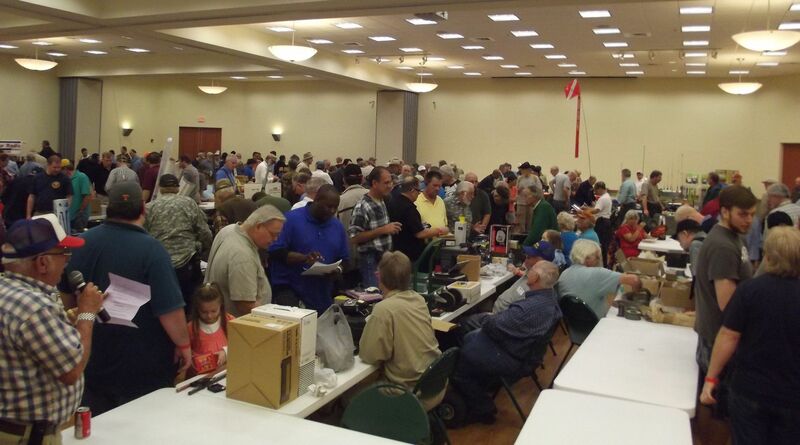 All classes of licensed Amateur Radio Operators are encouraged to participate. This is a great opportunity for Technician class operators to get some HF time in the early morning shifts with a General or Extra class on the roster! Visitors are limited to those who RSVP before the event! No drop in visitors! Please, if you would like to come by just to visit, you MUST be on the roster! To volunteer for a 2 hour shift or more, Contact event coordinator Louis – K5STX at k5stx@k5stx.net or k5stx@hillcountryreact.org! Sign up early, the based slots go fast! My name is John Ralston, K0RVB, Net manager for the San Antonio Area Rainfall Net. At the risk of sounding dramatic, I send you the following official communication. It is with a heavy heart that I inform you that Sunday, July 13th, 2014, will be the last day for the rainfall net. This decision did not come easily, was not made quickly and involved a great deal of communication with the National Weather Service and board members of the net’s sponsor, the San Antonio Radio Club. The decision to end the net was based solely on our data presentation to the NWS and how they receive their main data stream for daily rainfall amounts. Their main source of receiving daily, timely rainfall data is from CoCoRaHs, a web based reporting model, giving the NWS real time data on a 24 hr model from 8a to 8a. I encourage each of you to sign up with CoCoRaHs, at http://www.cocorahs.org/ if you have not already done so. Our rainfall reports can still be utilized by the NWS by reporting through the website.